A "close-up look at the cloistered country" (USA Today), See You Again in Pyongyang is American writer Travis Jeppesen's "probing" and "artful" (New York Times Book Review) chronicle of his travels in North Korea--an eye-opening portrait that goes behind the headlines about Trump and Kim, revealing North Koreans' "entrepreneurial spirit, and hidden love of foreign media, as well as their dreams and fears" (Los Angeles Times). Anchored by the experience of his five trips to North Korea and his interactions with citizens from all walks of life, Jeppesen takes readers behind the propaganda, showing how the North Korean system actually works in daily life. He challenges the notion that Pyongyang is merely a "showcase capital" where everything is staged for the benefit of foreigners, as well as the idea that Pyongyangites are brainwashed robots. Jeppesen introduces readers to an array of fascinating North Koreans, from government ministers with a side hustle in black market Western products to young people enamored with American pop culture. With unique personal insight and a rigorous historical grounding, Jeppesen goes beyond the media cliches, showing North Koreans in their full complexity. 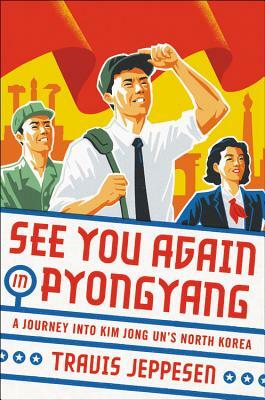 See You Again in Pyongyang is an essential addition to the literature about one of the world's most fascinating and mysterious places.